Fjord Line can look back on a record year with strong passenger growth in both Western Norway and Eastern Norway. The largest growth in 2018 was the domestic route Stavanger-Bergen-Stavanger, with a 24% increase in the number of passengers (59,000). Sandefjord-Strømstad also increased significantly – from 394,200 guests in 2017 to 458,900 in 2018. This corresponds to a growth of 16%. Kristiansand-Hirtshals noted a total of 209,800 guests, an increase of around 4,000 passengers compared to 2017. In total, the company carried 1,386,700 passengers in 2018, 8% more than in 2017. “We already notice that the response from the market is good. We sail in the tailwind and expect that 2019 will be a new record year, ”says CEO Rickard Ternblom. Stena AB has experienced a positive Q1 for the ferry division, and for the shipping division. Ferry operations: EBITDA, excluding net gain on sale of assets, increased compared to last year due to continued positive volumes for cars (+7%), passengers (+6%) and freight (+3%). Shipping: strong contract coverage and utilisation rate across the ro-ro fleet. Cruise ferry STAVANGERFJORD was redelivered to Fjord Line on Wednesday December 13 at 09:00, three hours before contract time, says Fosen. The ship’s interior has been upgraded to almost yacht-like standards. 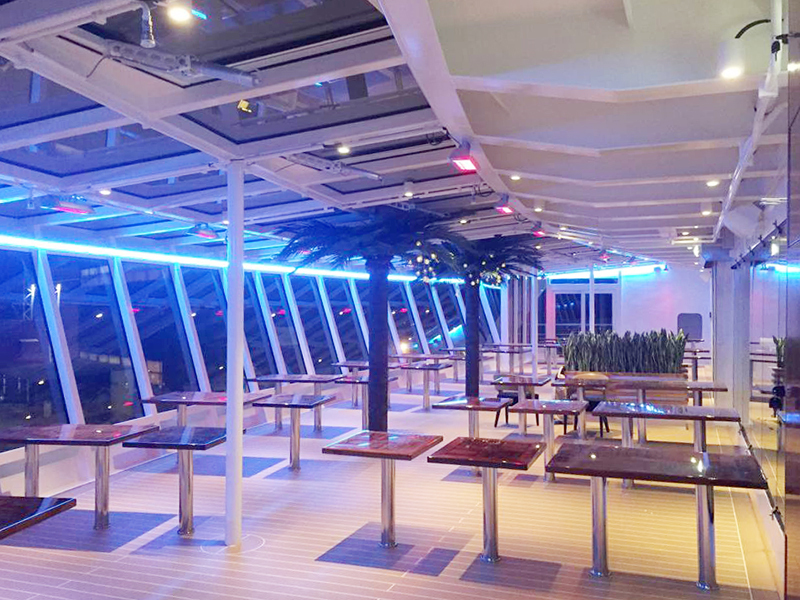 Cabin and suite capacities have been increased on the top deck and a new winter garden restaurant was created aft. The job was executed in six weeks as planned and the ferry will be ready to enter service from Bergen on December 14. With the Q2 report, Fjord Line confirmed the year-on-year growth trend. The company increased revenues with 30% and EBITDA with 112%. Passenger volumes were up by 13% and freight volumes up by 25%. The routes Hirtshals (Denmark) – Langesund (Norway, southeast of Oslo) and Sandefjord (Norway) – Strømstad (Sweden) were responsible for a significant increase in freight volumes (respectively 37% and 39%). The same routes also saw an increase in passengers per crossing. In Q2 the high-speed vessel FJORD CAT suffered some technical issues, with 3 weeks of cancellations. Result: the growth on the Hirtshals – Kristiansand route did not materialize. By investing in new tonnage, Fjord Line would double the capacity on the route Kristiansand (Norway) – Hirtshals (Denmark). The catamaran is going be built by Austal, says the Fjord Line press release. However, Austal said that it is still in discussions with Fjord Line. The catamaran should be delivered in 2020. Travel time will be 2 hours and 15 minutes, with a top speed of 40 knots. 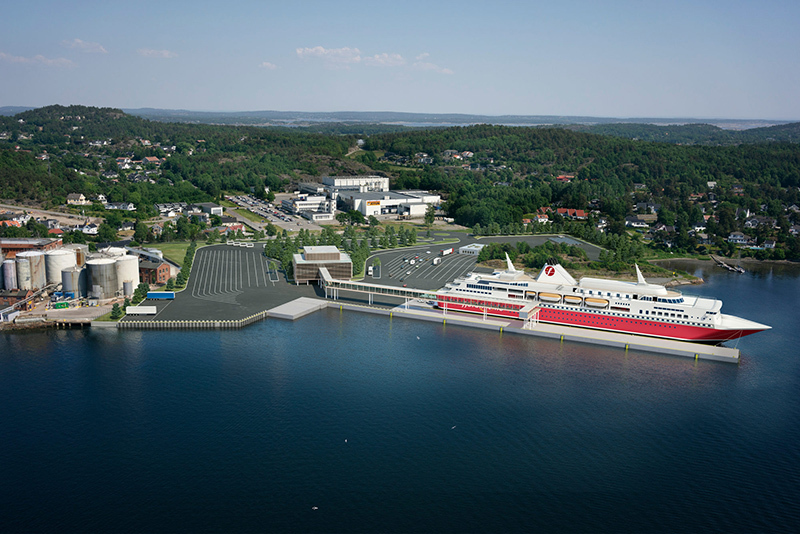 Capacity will be double, compared to the actual HSC FJORD CAT: 1,200 passengers, 410 cars.